McDonald's sent a huge red egg containing 5 out of 10 Angry Birds Happy Meal toys a few weeks back. Along with it was a media invitation to a special 'sneak beak' of The Angry Birds Movie at the Power Plant Cinema in Makati City last May 14. During the event, I received the rest of the #McDoHappyMeal collection. The new Happy Meal toy collection is available starting May 11. Aside from the getting a toy from The Angry Birds collection in each Happy Meal, you can also get to exclusively experience 'Angry Birds Action!' app. Unlock the app by scanning a 'BirdCode' printed on the Happy Meal Box. To activate the secret game in the 'Angry Birds Action!' app, simply open the app, click on the BirdCode-enabled icon, and scan the code. This brings the user to a mini-game with the mission to defend McDonald's from the green pigs. Players will be rewarded with free power-ups depending on their score. An Angry Bird-inspired game was stationed right outside the cinema. The game looked easy but trust me, those cans were really hard to topple down. 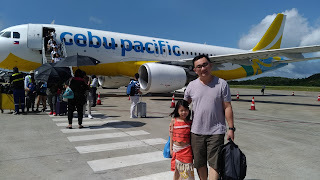 Luckily, my daughter was able to do it. She received a complimentary McDonald's Vanilla soft serve cone... yey! 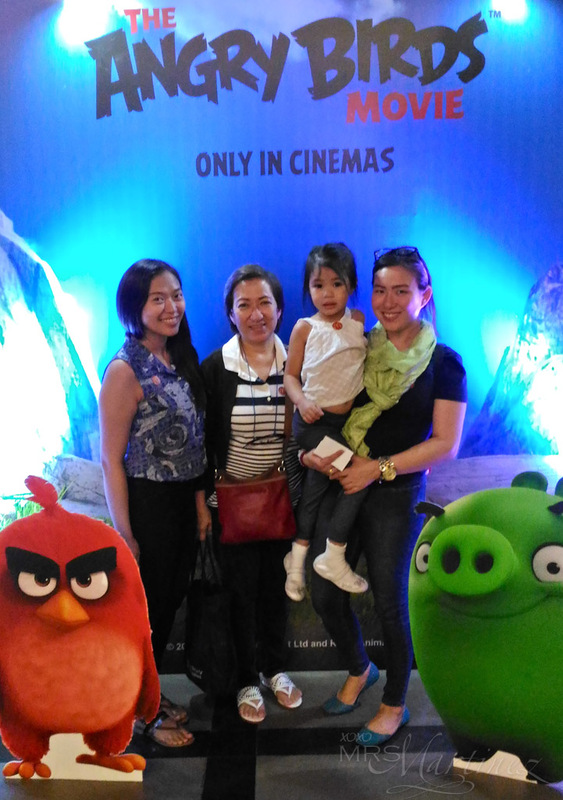 Thanks McDonald's Philippines for inviting me and three members of my flock to watch The Angry Birds Movie. We had lots of fun! Oh, before I forget, The Angry Birds Movie also comes to life at McDonald's with three Angry Birds-themed desserts offered for a limited time, namely Red's Cotton Candy McFlurry, Piggies' Oreo Matcha McFlurry, and Bomb's Black Sesame McDip. 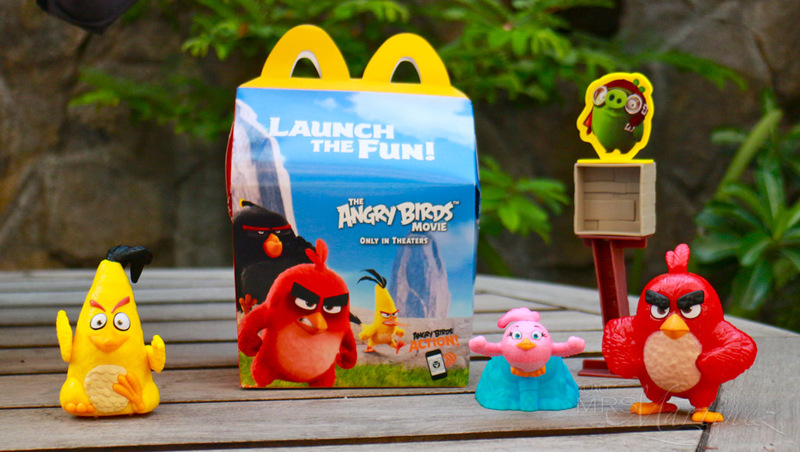 McDonald's Angry Birds Happy Meal and Desserts can be availed in all stores nationwide via McDonald's front couter, Drive-Thru counter, McDelivery.com.ph, by calling 86-2-36, or ordering through the McDo PH app. 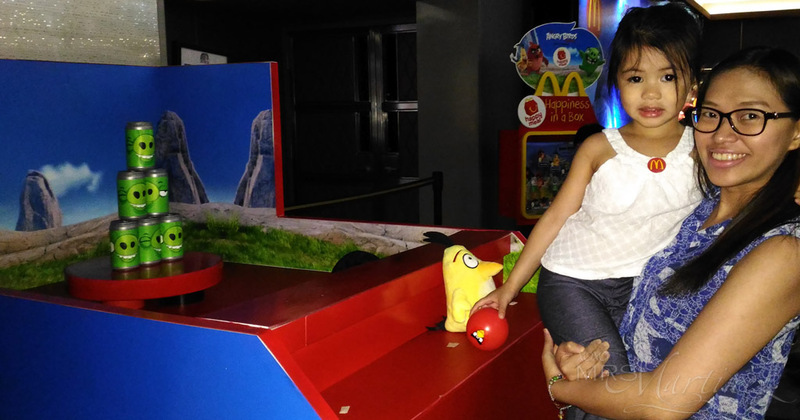 Share your moments of play with McDonald's Angry Birds Happy Meal via the official Facebook page, by tagging @McDO_PH on Twitter and Instagram, and using the hashtag #McDoHappyMeal.